The fact is that delaying to make decision to sell your junk or wrecked car is not a good. You can make fast cash for cars in Northern Suburbs in Melbourne and without worrying about anything. We at Rapid Car Removal understand the importance of space in your garage or backyard area and provide you a better solution to sell your old, wrecked and deteriorating car at good cash. We are committed to help you put a stop to that. You don’t have to waste time or exerting effort on dealing with car dealers or advertising and marketing the sale of your old ride. 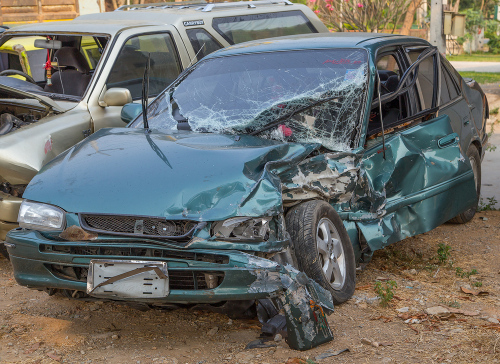 We are the top car wreckers in Northern Suburbs Melbourne. We are providing you precise solutions to get rid of old cars right before your eyes. We have been into the car removal services for long time. We assure you that going through the process is convenient and rewarding. Come and Join us for car removal in Northern Suburbs Melbourne. You don’t have to worry about more promoting options or waiting for long time. There is no more unreasonable haggling. You will get reasonable cash for cars in Northern Suburbs Melbourne and surrounding areas. Being one of the leading car wreckers/truck wreckers in Northern Suburbs Melbourne, Rapid Car Removal provides you with precise solutions for your old and scrapped junk cars. Contact us to sell your old and wrecked cars or cars/trucks that aren’t roadworthy anymore. We accept all makes and models like Toyota, Honda, Nissan, Ford, Mazda, BMW or any other automobile brand in Australia. We have team of experts, who help you in saving from the hassles of individually selling a wrecked car or its parts. We are your trusted partner to sell car/truck parts in Melbourne. We are not just a car wrecker or a company to get cash for cars in Northern Suburbs Melbourne but also experienced in checking vehicle details and detecting all issues of vehicle. We offer you the right value of your vehicle. We provide you with a detailed valuation and reasonable price offer. Keeping your serious damaged trucks would no longer be an advantage – mainly to keep your transportation services streamline smoothly. We are the trusted and licensed truck wreckers in Northern Suburb Melbourne providing you with truck removal services – happen in less than two hours after you agree on our price quote. You can have it scheduled at the most convenient time for you. We ensure fast and easy negotiation process from giving quotes and agreeing on a price – up to hauling and truck removal process. Now, you need not worry about keeping you old truck for more time and spend so much money in maintaining it. Sell your truck now and get fast cash with quick settlement. We are the leading truck wreckers in Northern Suburb Melbourne providing you precise solutions for DAF, Hino, Volvo, Kenworth and Isuzu. We pay top dollar for every clunker in bad or in worst condition. Contact us immediately and get as much as $ 15,999 in cash for trucks in Melbourne. Rapid Car Removal, one of the leading truck and car wreckers in Northern Suburbs Melbourne, has been in car removal services for many years – buying and selling wrecked cars. No matter, whether you own a sedan, wagon, luxury car, SUV or truck, we are here to do that for you instantly. Give us a call or fill in online form and we will be at your address for evaluation of cars/trucks and provide you fast cash. You have to keep the essential documents of the car ready. We provide our clients with the most convenient and easy transactions. As soon as you agree with our price quote, you can sit back and relax. We don’t apply hidden charges and fees. There is no change to the price or arrangements you have agreed with. We ensure every transaction is processed and finalized at the shortest time-frame. We can provide you cash on the spot. We pave smooth ways for you to get additional budget for your family or fund for a new car. We are just a call away from you for cash for cars in Northern Suburbs Melbourne.